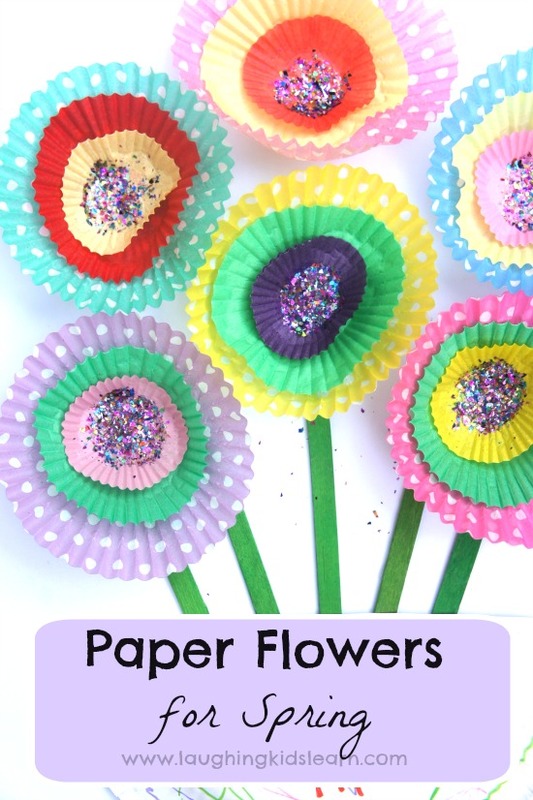 Cupcake paper flowers is a simple craft for kids and is great way to teach them about Spring and the many changes we can experience in a season. The Spring season would have to be one of my favourite times of the year. I just love watching the buds of growth start to appear in the garden and seeing a wonderful bursts of colour from flowers I’ve so lovingly grown with Possum. Of course we have grown a few things over the year, lettuce and carrot tops were just a few I blogged to you about. 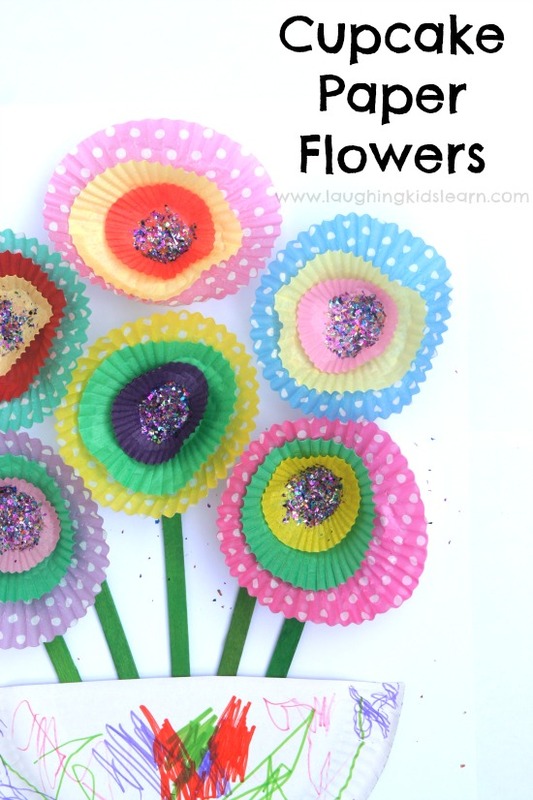 For something a little crafty, it seemed like great idea to do a beautiful flower craft using a few humble cupcake liners. 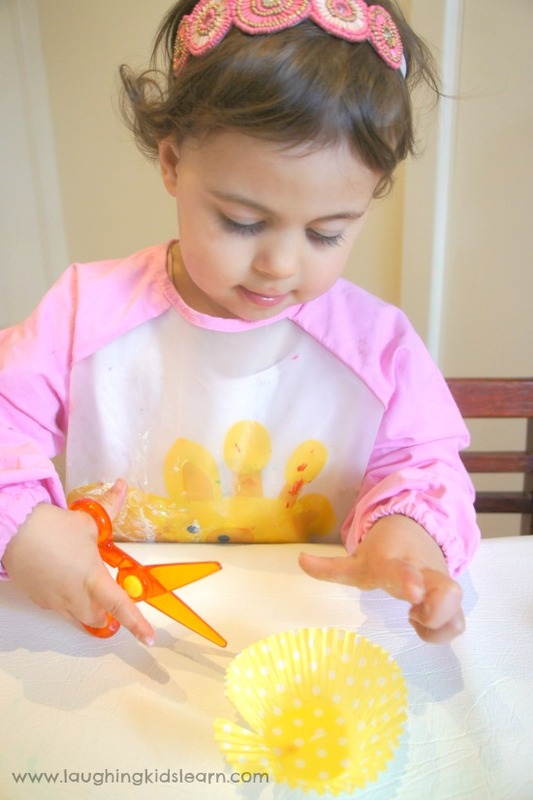 Asking your child to separate the cupcake liners makes for a wonderful fine motor activity. Once you have them separated you can talk to your child about the various sizes they can see. I used the terminology small, medium and large. Possum (aged 2.5 years) is only just becoming familiar with using scissors and together we work on her using the correct finger placement and cutting technique. 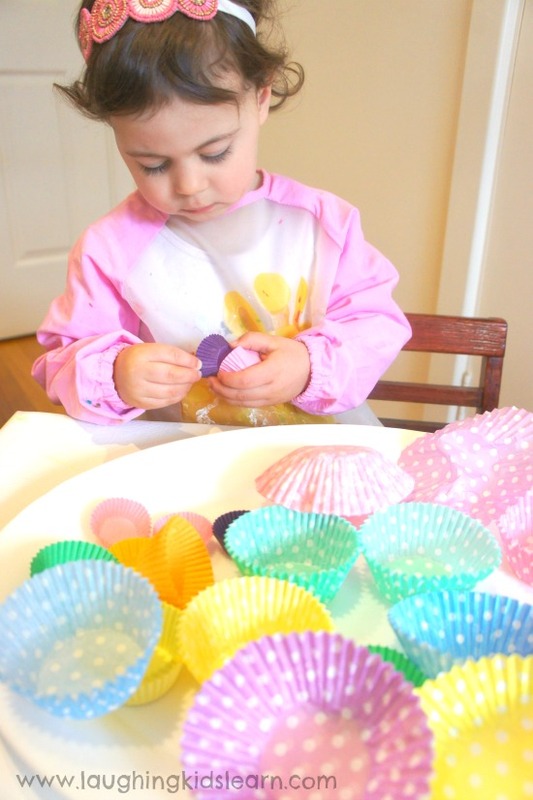 As an option for this flower activity, you and your child can carefully snip around the cupcake liners to create ‘petals’. 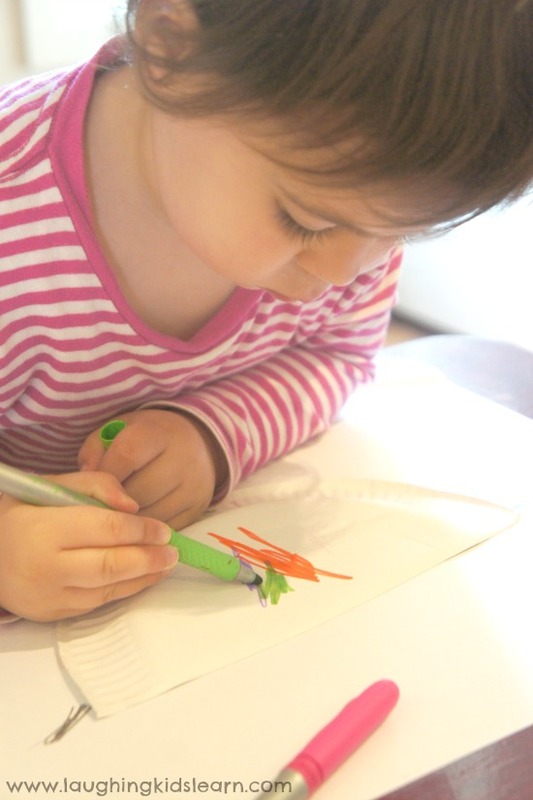 Kids Activity Blog have another great idea for helping children learn to use scissors. 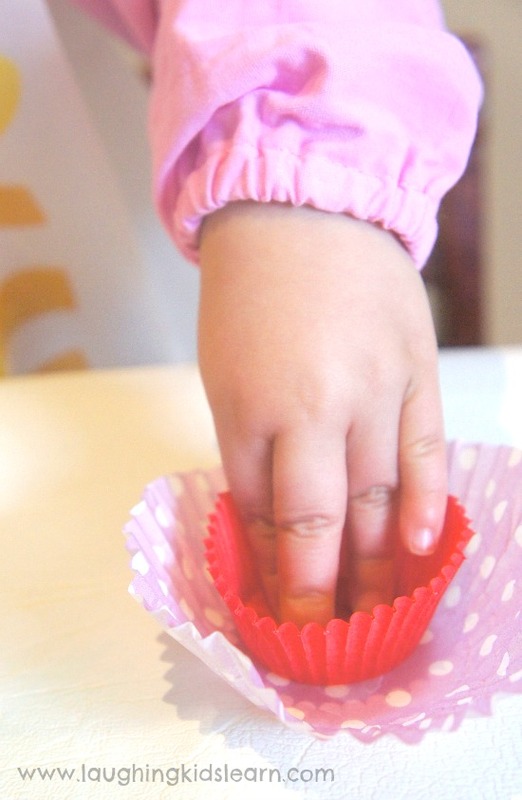 When using cupcake papers of different sizes, the activity will provide your child an opportunity to recognise difference and do some basic ordering. 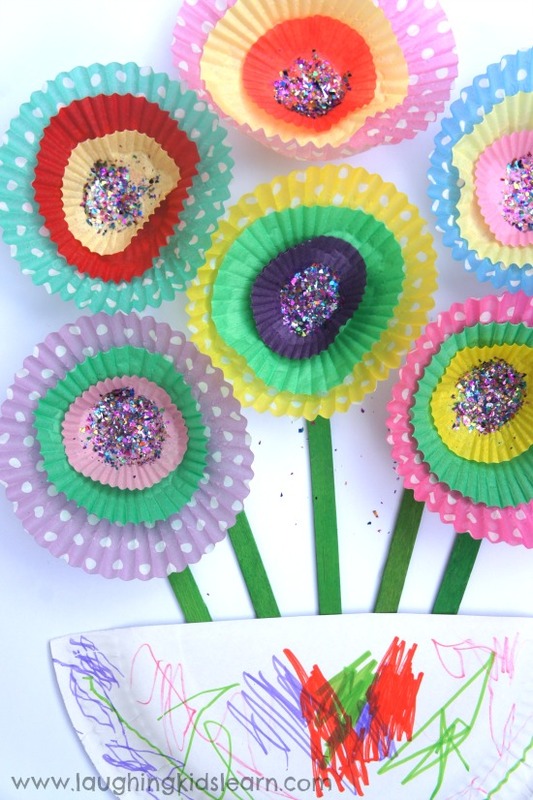 When ordered from largest to smallest the cupcakes paper flowers will appear gorgeous and layered. Of course if your child chooses not to order them in this way then it’s time to step back and allow them to express their own creativity. This is their art work after all. How beautiful! 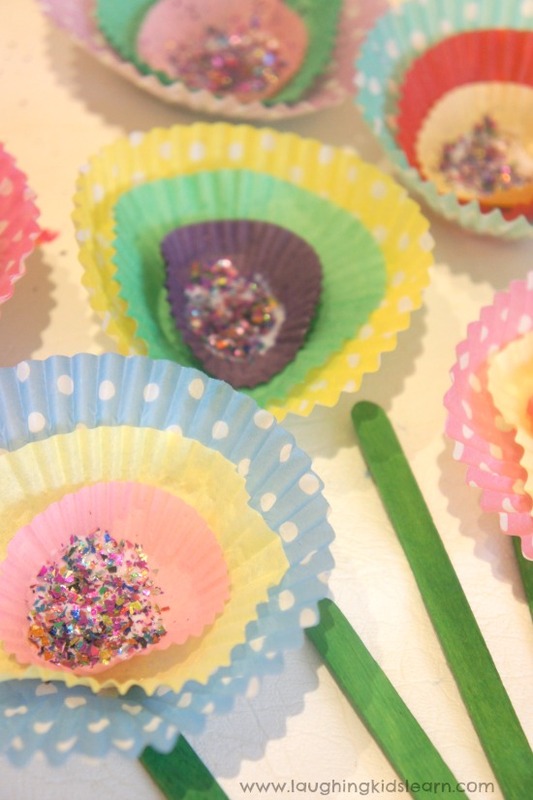 We love glitter and so we decided to sprinkle it in the middle of each cupcake paper flower. 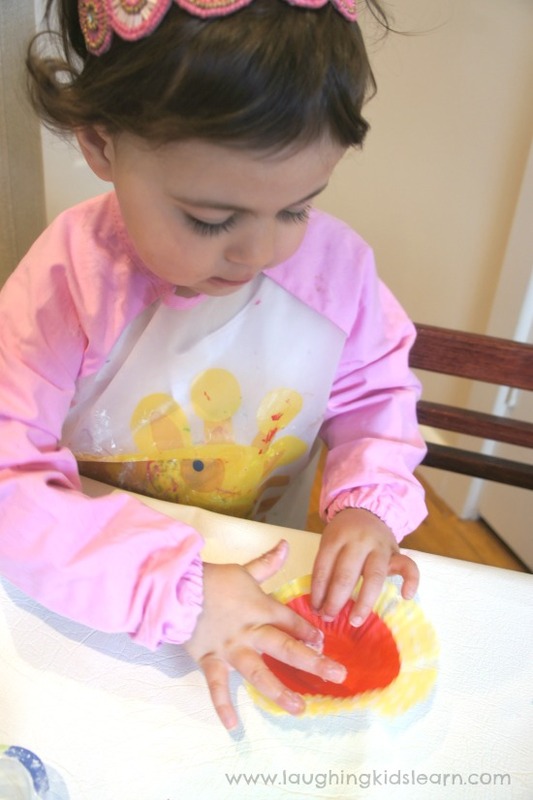 For older children, this could be a great opportunity to talk to them about the Spring season, parts of a flower and pollination. For the flower stems I used green paddle pop sticks. If you don’t have these then you can use strips of paper or pipe cleaners. I love flowers displayed in a vase and so I chose for us to use a random paper plate, which I found in our craft box. I simply cut it in half and had Possum decorate it however she wanted using coloured pens. Ta daaaaa! 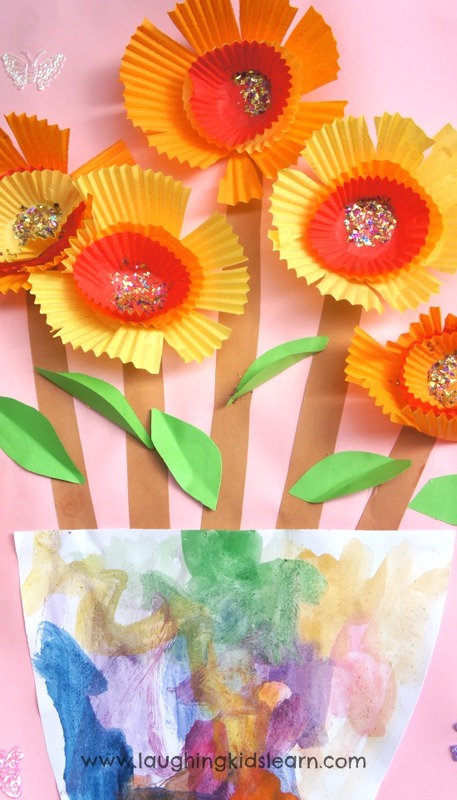 And here is the final product, I love the textured layers of the craft activity and that it was simple enough for a toddler to do with a degree of independence. This now hangs on our fridge at home. We loved doing this so much that we made a few art pieces. Here is another one that Possum and I did using watercolours on the vase and green paper folded leaves. 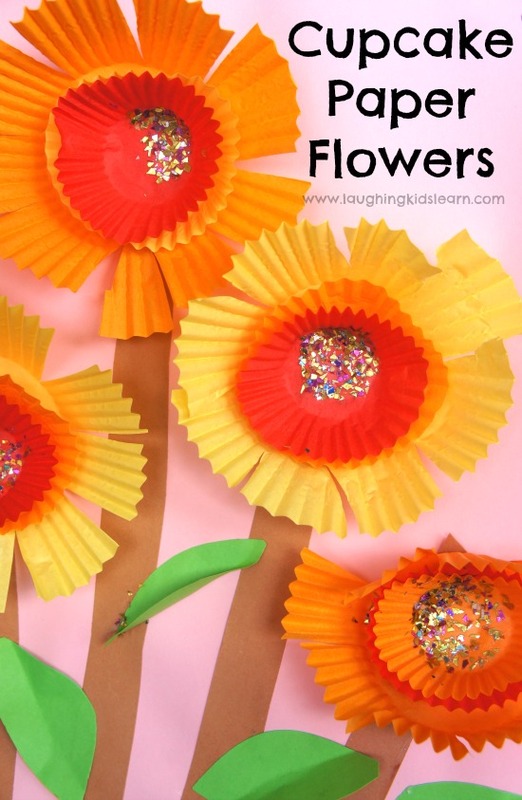 I think this is a great, simple craft activity for children, especially for toddlers or preschoolers. It teaches them about the beauty of Spring and how seasons can change over time. What would be your favourite season? Adorable! I love this. 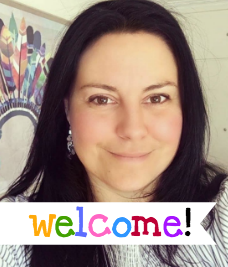 Pinning and sharing on FB this week.